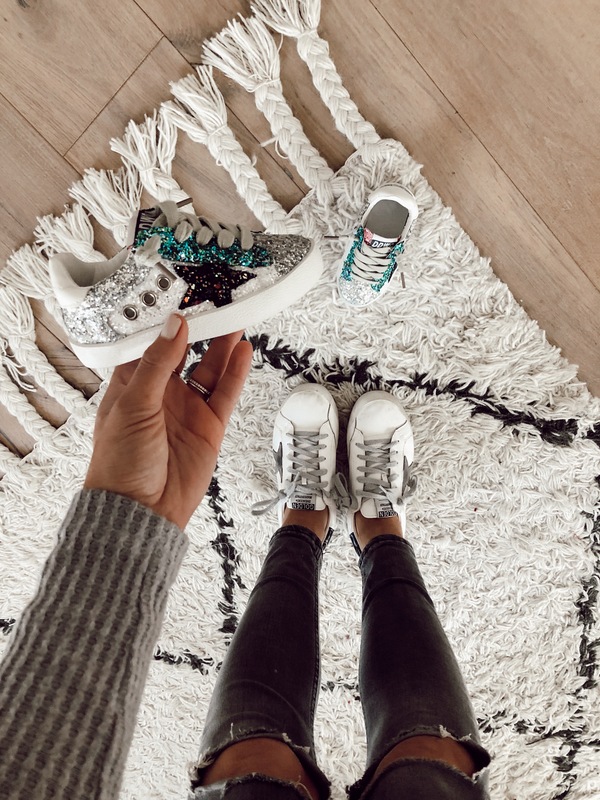 These mini Golden Goose dupes are causing quite a stir! I ordered a pair for Crosby Saturday night and just got them today (thanks, Prime!) and shared them on my IG stories. I got tons of messages asking about them so I thought it would be best to put all the info into a blog post. 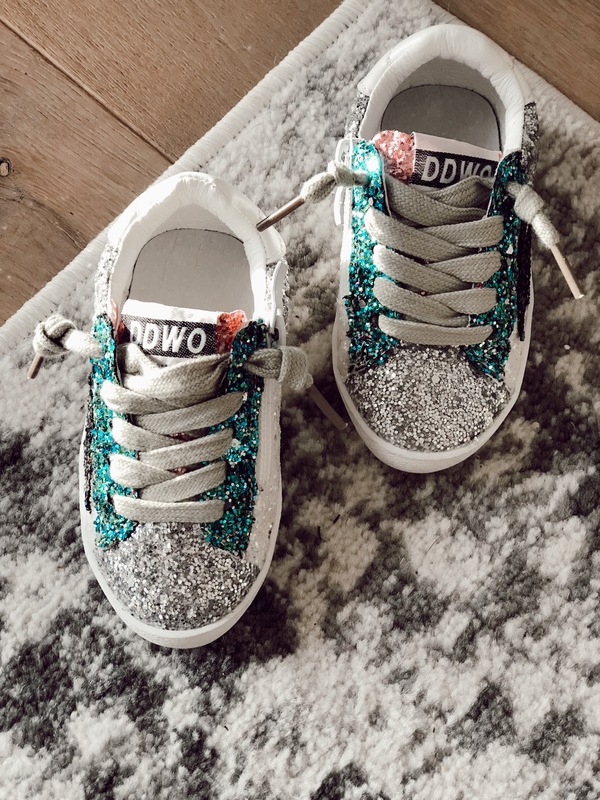 Real Golden Goose sneakers for toddlers are $250+. 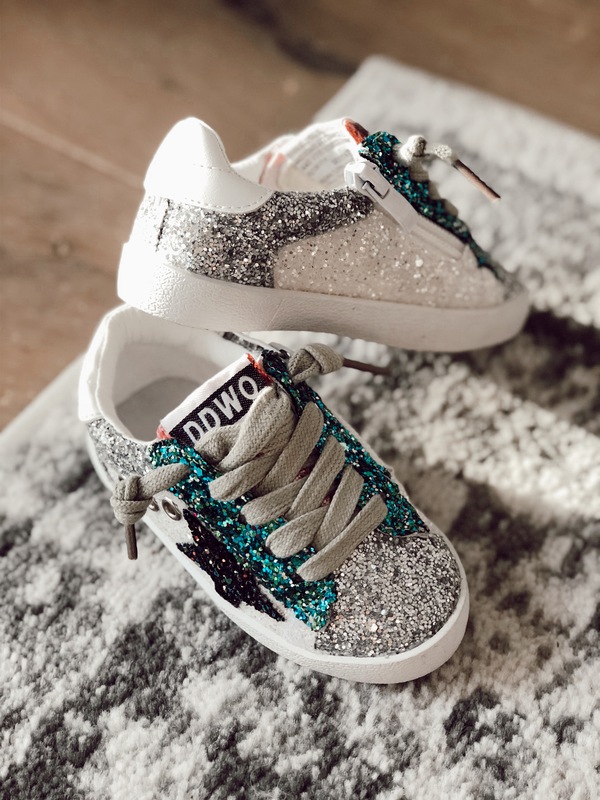 I’m not about to pay that for shoes for my toddler that she’ll outgrow in a couple months (if that) and/or destroy at the park, so I’m a big fan of these for $21. I ordered her this pair in the smallest size which is a 5.5. She normally wears a 4 or 5 in shoes so they’re a bit big. They go all the way up to a 4.5 in big kid sizes. They come in three colors and have a zipper on the sides that makes them really easy to get on and off. A must for toddler shoes. I also found a high-top version here. They come in the same three color ways and are offered in similar pretty much the same size range but go up a little higher. Really hoping they bring this version back. They were fully stocked a week ago in 3 colors and now they have like one size and two colors left. I’m wishing I ordered a pair when I first saw them! That should cover it. Let me know if you have any additional questions.